Highlighting upcoming production (a preview guide, not an endorsement). Underground Live is a weekly live music night hosted by the Edinburgh University Student’s Association. Every Thursday from 9pm the EUSA present some of Scotland’s, and particularly Edinburgh’s, new musicians in the cozy basement of Teviot Row House. Previous performers, to name a few, are the likes of ‘Indigo Velvet’, ‘Earths’, ‘Universal Thee’ and ‘The Rising Souls’. The series of Underground Live events run up to the 1st of December this year and there are many acts to look forward to such as ‘Teek’, ‘The Boy with the Lion Head’, ‘Delphi’ and ‘Moonlight Zoo’. To have a look for ourselves we attended the ‘Underground Takeover’ where Underground Live teamed up with Oxjam Edinburgh (part of Oxfam’s music festival). The night featured Edinburgh based band ‘The Factory’ (now named ‘Ignu’) who showed off some of their original pop and folk tunes. Two further acts, that will both be playing at this year’s Oxjam ‘Edinburgh Takeover’ were Michiel Turner and ‘The Micro Band’. Michiel Turner charmed the audience with his unique voice and jazz/soul and folk style. ‘The Micro Band’ brought their positive attitude and catchy tunes on stage and got a few folk up off their seats! Oxjam ‘Edinburgh Takeover’ Manager Karl Wood was heavily involved in the event and was particularly impressed by the venue; “It’s absolutely brilliant to work with the Underground Live team. They showcase some of Edinburgh’s finest emerging acts in an excellent venue.” And we agree – a small stage makes the event feel intimate, and low comfy seating add to the vibe. The Underground Live events are a fantastic way to scout out Edinburgh’s musical talent and not only is it completely free but you can enjoy student prices at the bar even if you are not a student! With just three weeks to go until this year’s Edinburgh Festival Fringe officially kicks off, we thought it high time that the +3 team share their 49+3 top picks for shows to see in 2016. As the official Fringe programme once again contains over 3,000 listings, it’s been a challenge for us to compile our (fairly) short list, but the team of myself, Alan Brown and Jacob Close have used all our experience and guile to highlight those which we think really are worth a watch. And just like last year, we haven’t been bribed, cajoled, threatened or in any other way influenced in making our selection, we’ve each made up our minds independently on what we’re looking forward to. Here they are, alphabetised by genre. Don’t Panic! It’s Challenge Anneka – a frank and funny exploration of the taboo topic of anxiety, supporting the fantastic #itaffectsme campaign. One Day Moko – a moving portrait of homelessness in New Zealand, which I think will have particular resonance in Edinburgh. And that’s it. If there are any other shows you think should be brought to our attention please get in touch with us at plus3@edinburgh49.com. Until this preview I’d never been on a walking tour of Edinburgh, despite witnessing what seems like several hundred of them in earnest progress from day to day. It was with some trepidation that I dragged myself to the agreed meeting point on a Sunday morning, for I had no desire for pantomime-esque shouting, spun-out theatricals, or vaguely competent script recitals. Thankfully, Gareth Davies’ Festival City Explorer Tour does not do these. Starting at one end of the Grassmarket, Gareth immediately sets out what to expect and what makes it both interesting and unique compared to louder and more commercial efforts. He introduces it as a tour of two cities – the old, the new; the charming facades, the sordid histories; and the intriguing combinations of the geological and the human that have shaped the city into what it is today. What follows is a fascinating lesson in 101 things you didn’t know you didn’t know about Edinburgh. At just shy of two hours, and taking in a fair whack of our city, it’s certainly not one for those hoping for a quick stroll. The tour encompasses both new and old town – exploring the stories of their design and build, finishing up on Calton Hill to view it as one whole. In the old town we learnt about hangings, trade routes, and (yes, ok) a ghostie. As we passed along Mound Place on our way down to Princes Street, Gareth pointed out that not many tours actually venture into the new town. Indeed, the methodology behind his tour is to focus on those parts of the city that don’t feature in the glossy guide books. 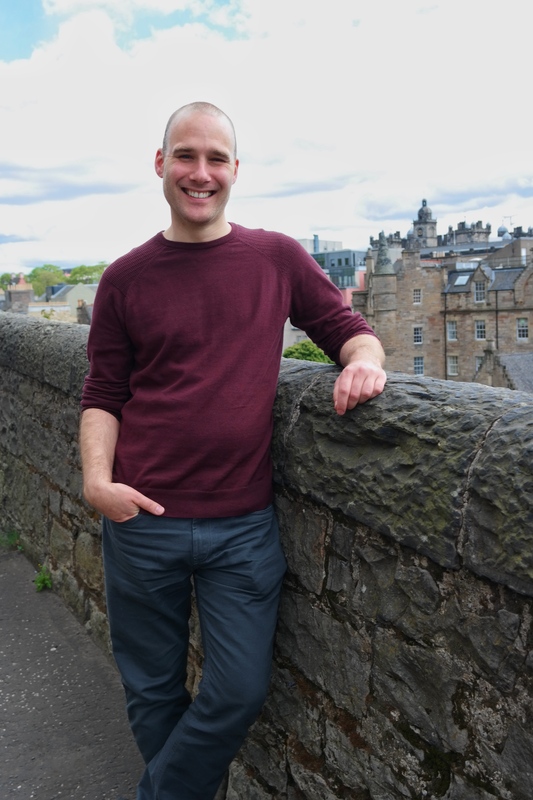 We spent very little time on the Royal Mile, and instead unearthed many of Edinburgh’s lesser-known treats in sidestreets and wynds, from walkways and vantage points. What made this tour really special was Gareth’s personable and honest way of talking. He is clearly knowledgeable and passionate about what he does, but without the overblown routines and tired witticisms that you can get from a showman guide, especially in August. During the Fringe no group will number more than 10 people, which I think will help keep it all friendly and informative. This was in fact a really insightful experience. For one thing it woke me up and for another I found myself asking intelligent questions that I’d never before considered – just how did some of our streets get their names? Remarkable. Wear a comfortable pair of shoes and bring an open mind – you don’t know what you’ll discover. Edinburgh: Festival City Explorer Tour runs Monday-Thursday at 10am during the Fringe. Booking is highly recommended. Tracey Morgan has a story to tell. It’s the story of a Canadian actor who became one of the most recognized, and best loved comedy stars ever to appear on the silver screen. In classics, ranging from The Blues Brothers to Cool Runnings, his performances are studies in subtly on an epic scale. John Candy (1950-1994) was a man liked and admired by everyone who knew him. And there’s the problem. Was John Candy too nice a guy for modern publishing? Who on Earth would want to read a life entirely devoid of lurid scandals, debauched episodes, half-remembered highs and all-too-public lows? Here Tracey talks with Dan Lentell about the possibilities and pitfalls of self-publishing, as well as about the larger-than-life artist whose life she is rendering into print. You can follow Tracey’s progress, and read fresh insights into the man and his legend, through her blog www.searchingforcandy.com & information on how to participate in crowd funding the book here. What is your first memory of John Candy? Was it love at first sight? My big brother was a huge influence on me and when we were younger, he was obsessed with various films, one of them being Brewster’s Millions, he used to watch that a lot and in turn so did I. Shortly after that I also saw Splash which I became obsessed with. Two very different characters in the films played by John, but both have that very human and funny element. I was always drawn to him, so yes I would say love at first sight. What was Candy’s big break, the project or moment that made people sit up and take notice? Well people started taking notice of him when the Second City Toronto troupe he was part of started their own TV show SCTV. Set up to rival Saturday Night Live (Second City were worried SNL would poach their talent) the show was huge in Canada and also started to get a US following. However, I think the world took note when he played Dewey Oxberger (Ox) in Stripes, all of a sudden John was a movie star. His old agent Catherine McCartney told me John went incognito to a showing of Stripes in Toronto to see people’s reactions. He sat at the back of the cinema with Catherine and when Ox walked on screen for the first time the auditorium erupted! John was so touched he started to cry and had to leave. From then on in everyone knew who he was. When did you decide to write his life, and was there a particular epiphany that determined you to do it? About four years ago I was recovering from an awful bout of depression and I started revisiting things from my childhood that made me happy. One of those things were John Candy movies, there is something about Irv Blitzer, Uncle Buck, Gus Polinski, Del Griffith, Freddie Bauer, those characters that John played always made me feel like I could do anything and that it was OK to be yourself as long as you have a good heart. So when I wanted to find out more about John I was shocked there wasn’t more about his life, the only real biography about him was written quite soon after his death and I think for some it was just too soon to talk about John, they were still grieving. The author had also decided to paint a darker side to John that I just couldn’t believe existed, so I thought I better do the research myself. They always say if you can’t find the book you want to read on the shelf, write it. Also if I am being honest, I felt like I had a calling from JC himself – just not the JC most people expect! Have you had much contact with those who knew and worked with him? What has been their response to the project? I have been very lucky to interview over sixty people that worked or were friends with John. Some have taken longer to trust me than others but the general response is that they are glad I am writing the book, after they have spoken to me they know that I am doing it for the right reasons. One thing I can tell you is that everyone loved John, they all have so many stories and memories of him, he was generous and big hearted and almost magical. Those that have contributed include Mel Brooks, Carl Reiner, Mariel Hemmingway, Kevin Pollak, Lonette McKee, Jay Underwood, Dave Thomas as well as many others. There are a couple of other biographies out there, what’s going to be special about Searching for Candy? Well for one Searching for Candy isn’t being written for money, just total love. The fact it is written from a fan’s perspective and that I have interviewed people who have not been in previous biographies will make it very different. But there is only one other biography written. Apart from that there is a fake Wikipedia article book that someone has fudged together, I don’t think anyone can class that as a work of passion. Candy appeared in several classics, but he didn’t posses the midas touch. Did he do more than his fair share of dud flicks, or is it that he just didn’t live long enough to unassailably embellish his filmography? John worked hard, very hard. He always thought he was going to die young so he wanted to bank role money to ensure his family were taken care of. He was also very bad at saying no and would always help people out if he could even if it wasn’t to his own advantage. In his career he was in over forty films, some that completely bombed, but every picture he did he always made the film better than it would have been without him and surely that is all any actor can hope for? Could Candy have ever made a straight or serious role his own? Yes, he was a brilliant dramatic actor. Just watch him playing Dean Andrews in JFK, John got to be the bad guy for a change and if you watch real life footage of Andrews you will see just what a brilliant job he did. There are also moments of true beauty in Planes, Trains and Automobiles where he will melt your heart. How will your biography balance exploration of Candy’s professional and private lives? Well I think his professional and private life were very intertwined. The interviews I have done dictate the balance and as many of his colleagues were also close friends it is hard to distinguish what falls into which category. He lived to work, and he lived for his family. You’re crowd funding the project. What are the benefits and downsides? Well the benefits so far are that I have been in contact with people like you, who have learnt about the project and have helped me promote it. I have had so many messages of support, people pledging and sharing the project and I would like to thank everyone who has contributed. If I raise the money I get to self-publish and make the book exactly as I want it to be. The downside is that I am having sleepless nights worrying about not hitting the target! If I don’t hit the target I will find a plan B. Sometimes I think you just have to be brave, it doesn’t always work out but maybe that is because there is a better plan you have not come across yet. What are the movies, made since 1994, that made you think, “Gosh! I wish he’d been available for that.”? Good question! Very difficult to answer really, I think there are many roles he would have been fantastic at. I am not sure I want to say what they are, and I am not sure John would want me to, purely because he would hate me to disrespect any other actor. I think if John was still around he would have found more dramatic roles and taken on more projects as a Director. One thing for sure is his legacy still makes us laugh today. The Edinburgh Fringe is unique. Uniquely big as well as uniquely varied, and therefore, uniquely competitive. 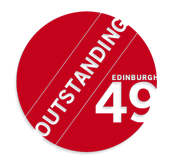 Edinburgh49 is a collaboration between Edinburgh-based writers from some of the most respected Fringe Theatre review titles. Their insights combine detailed local knowledge with a comprehensive overview of the Fringe. 49 Things You Should Know About The Fringe will help you get the most out of your experience this August. In Part One we examined how shows get noticed and what to do when you are. In Part 2 we met the various media titles whose reviewers you’ll be courting. Now, as the clock ticks down towards the launch of Fringe ’14, we offer some more esoteric thoughts which, we hope, will help you squeeze every drop of juice from the extraordinary month ahead. COUNTING DOWN TO FRINGE 2014! Each venue will have its own Press Office. Some are better than others. Even the largest press office staff don’t have time to do your stapling for you. However, if they do display reviews or attach ratings to posters shown in house, make sure they’re doing it promptly. You’re the customer. You paid to use this venue. Demand a quality after-sales service. The Fringe is home to some really great chat & revue shows where punters can hear directly from participants. The legendary Merv Stutter is among the best established. Don’t be shy in approaching producers and asking to feature on their sofa in front of an audience. New acts especially need content. There’s a whole article to be written about Twitter and the Fringe. It ought to start with the obvious warning that not every Fringe-goer is on social media. Our 5 golden rules for Twitter: don’t pester; don’t churn; don’t quarrel; don’t insult and don’t forget to retweet, follow & favourite beyond the usual suspects. Read Broadway Baby’s How to write a press release journalists will want to read. Then re-read it and pass it on to every public relations professional you know. Then read it again. Even if it’s just a single side of black and white A5, consider providing your audience with a programme. There are sound audience engagement reasons for doing so (introducing your company, script, vision etc.) Besides, reviewers can’t name names if they don’t know who anyone is. If you have, or are in, other shows, it’s a good place to mention it. Don’t forget to include your social media contact details. The Free Fringe is among the most interesting developments within the Fringe for some time. For established theatre companies the Fringe is a trade show. Their priority is as much to sell shows (to national venue managers) as it is to sell tickets. The costs/benefits involved in setting out their stalls at the #Freestival may one day be in competition with traditional big venues…perhaps. Less in doubt are the huge advantages the Free Fringe offers to new players. Free Fringe audiences exist on a spectrum running from folk who won’t stay past 5 lines of bad dialogue; to those who stay rooted in a venue from dawn till dusk seeing everything in the lineup. Late to the party? If you arrive in Edinburgh after the start of the Fringe, don’t despair. You’re fresh and eager. Lamentably, few Fringe-goers abandon hearth and home for the full run, so there is always a steady stream of audiences. Still, take nothing for granted. See Edinburgh! It’s a great city and there are plenty of low and no-cost ways to see it, from the Radical Road to the Walter Scott Monument. The sunsets over the Firth of Forth this time of year are gorgeous, especially when viewed from the Starbank Inn. On the far side of town, the Sheeps Heid in picturesque Duddingston village offers traditional fare on a site which has been continuously occupied by a pub since 1360. Say goodbye to your money. For many coming to the Fringe is a once in a lifetime experience. For others it’s the start or end of a continuing tour. For everyone it’s a place to workshop ideas in front of an actual audience, night after night. That doesn’t come cheap, so make sure it stays cheerful. Good luck to everyone participating in The Edinburgh Festivals of 2014! Edinburgh49 will return in September!